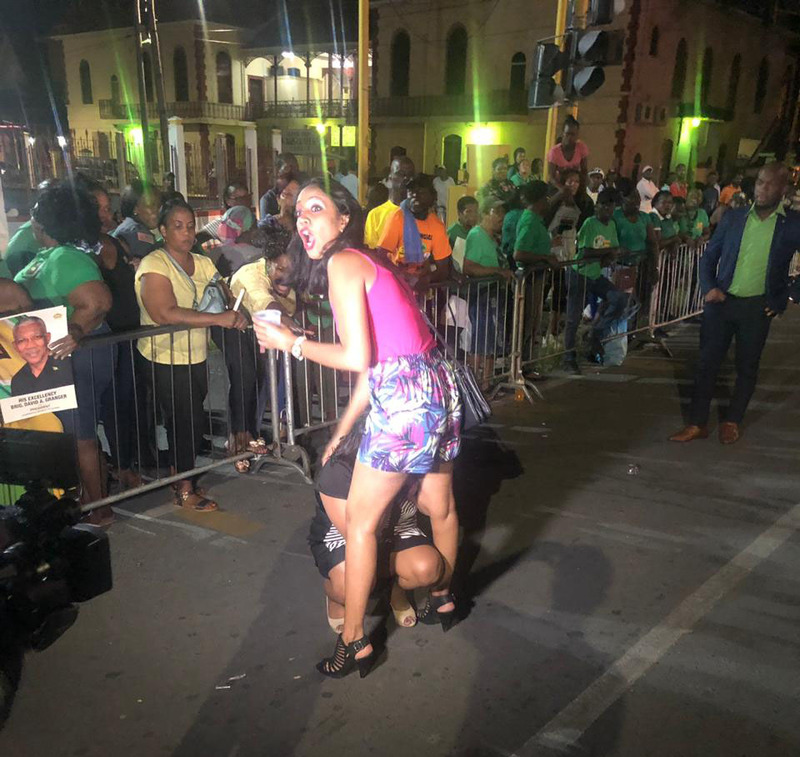 A supporter consoling another after she broke down in tears after the news was confirmed that the no-confidence motion was passed last night. 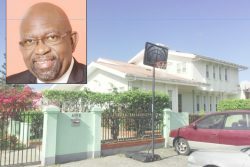 APNU+AFC supporters say they are confident that the coalition will once again be re-elected to office next year after the no-confidence motion that was tabled by Opposition Leader Bharrat Jagdeo was passed leaving dozens of their supporters in tears last night. More than 200 supporters of the Government, decked out in their green and yellow shirts gathered on the northern section of Brickdam in front of Parliament Building from as early as 1:30 pm. They were armed with placards highlighting the coalition government’s achievements over the past three years and had said that they had no doubt that the PPP/C motion would be voted down. 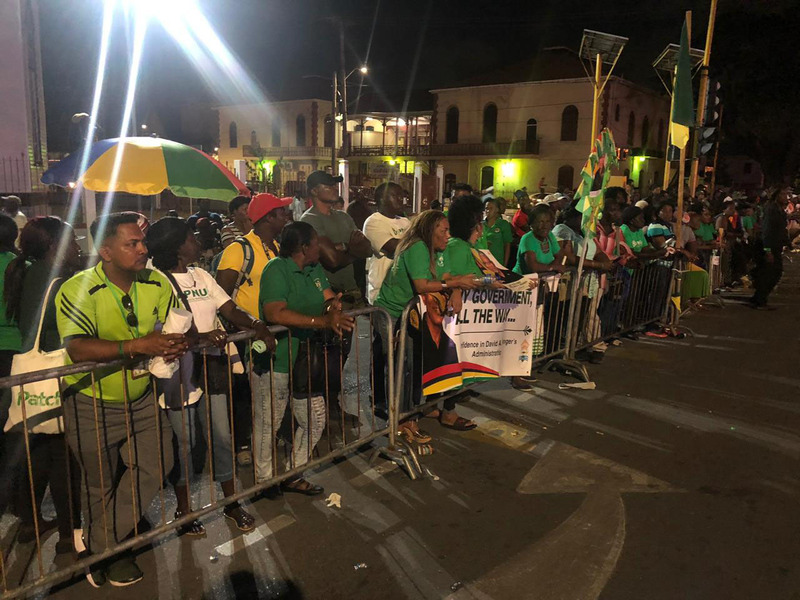 Despite the numbers of supporters waning throughout the night as the debate stretched into the night, after 9 pm, when the motion was put to a vote, a large contingent was still present as they eagerly awaited the results. 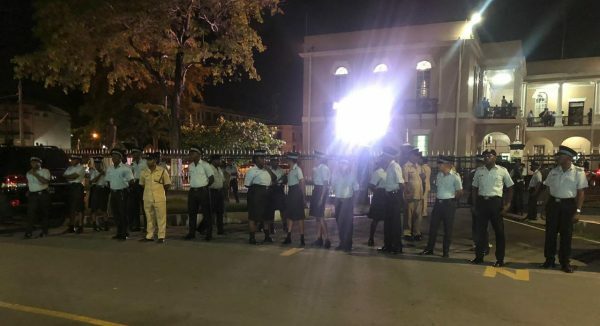 Ranks of the Guyana Police Force lined up in front of Parliament last night after the no confidence motion was passed. Throughout the afternoon and before the vote started, the supporters had been beating drums, dancing and frolicking with confidence. However, once the voting started the atmosphere quickly changed. The rhythmic beating of drums and dancing supporters quickly fizzled out as they glued their eyes to the monitor inside of Parliament compound that was showing the live feed of the voting. After the first voice vote, which the coalition government dominated, the supporters roared and cheered but were stunned after a division was called and the votes were counted individually. The supporters remained quiet and paid keen attention as the opposition members voted in favour of the motion. They were stunned, and some broke into tears, after APNU+AFC Member of Parliament Charrandas Persaud voted in favour of the motion. 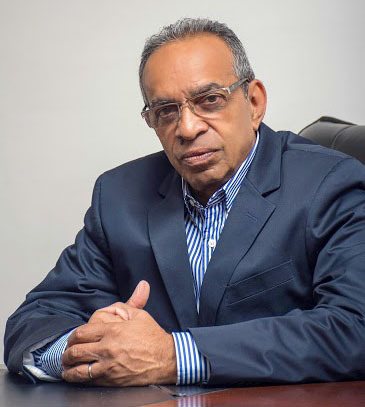 After hearing his initial vote of yes, the supporters were confused and the gravity of the situation did not kick in until Persaud reaffirmed his vote several times. Realising that the coalition government had lost the no-confidence motion some of the supporters broke down in tears and started claiming that Persaud had been “bought” by the PPP/C. One supporter, who rushed to the crowd, fell to her feet and broke down in tears after other supporters had confirmed the news to her. After the vote was concluded and the results were confirmed, ranks from the Guyana Police Force quickly flooded the area outside of the compound and closed the gate. While most of the crowd related that they had nothing to say and were “absolutely speechless”, some of them proclaimed that they were still confident that the APNU+AFC will be re-elected next year when elections are called within 90 days. the remaining supporters were quiet. “I feel betrayed… The people feel betrayed. 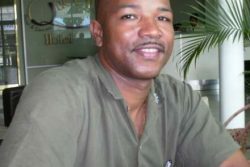 It was surprised and he [Persaud] has betrayed the people of Guyana who elected this Government. And I hope he can live with himself but I am not afraid because I know if elections is called in three months the people in Guyana will go back to the polls and re-elect the APNU+AFC Government. They will re-elect the government who cleaned this country up, who has caused us to be on the international scene,” a supporter, Elizabeth Williams told Stabroek News. Williams was with the crowd since 1:30 pm and emphasised that she was shocked that the vote went in favour of the Opposition. Another supporter, who identified himself as Denis, and had stated earlier in the day that he had absolutely no doubt that the Government would win the motion, was lost for words after the vote. 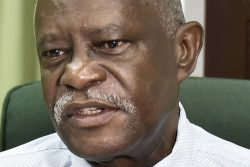 “I don’t know what to say, I didn’t see this coming, I didn’t see this coming at all and I don’t know what the future holds for Guyana, I can’t say. I am confident we will win the elections again though. This is very much unexpected and I trust that throughout the country that citizens don’t resort to violence. We are all Guyanese and we want better for our country and with that said let calm be the order of the day and let’s hope for better for Guyana,” Denis said. Varun Mahadeo, who was also present in the crowd from the beginning, also expressed his surprise at the results of the motion but stated that he is very confident the Government will remain in power come the next elections. “What I want to say is that whatever happened is part of politics and for me, what I could understand is that someone was bought way before this. However, as you know, elections will be coming in 2019 and I am confident that the coalition will be re-elected back into power. Because what happened is that the majority of voters in this country are youths and the youths stand with this coalition government. When they have a coalition government working together the minority will always have some dirty game to play and it’s a fact that we have to accept, all we have to do is start working from now till elections,” Mahadeo said. Prior to the vote, after the parliamentary debate was paused for a break, government ministers including; Minister of Public Infrastructure, David Patterson; Minister within the Ministry of Public Infrastructure, Annette Ferguson; Minister of Natural Resources, Raphael Trotman; Minister within the Ministry of Natural Resources, Simona Broomes; Prime Minister Moses Nagamootoo; Minister of State, Joseph Harmon; Minister of Legal Affairs, Basil Williams; Minister of Public Security, Khemraj Ramjattan and Minister of Social Cohesion, George Norton among others came out and greeted their supporters. Broomes even went as far as dancing with the crowd.